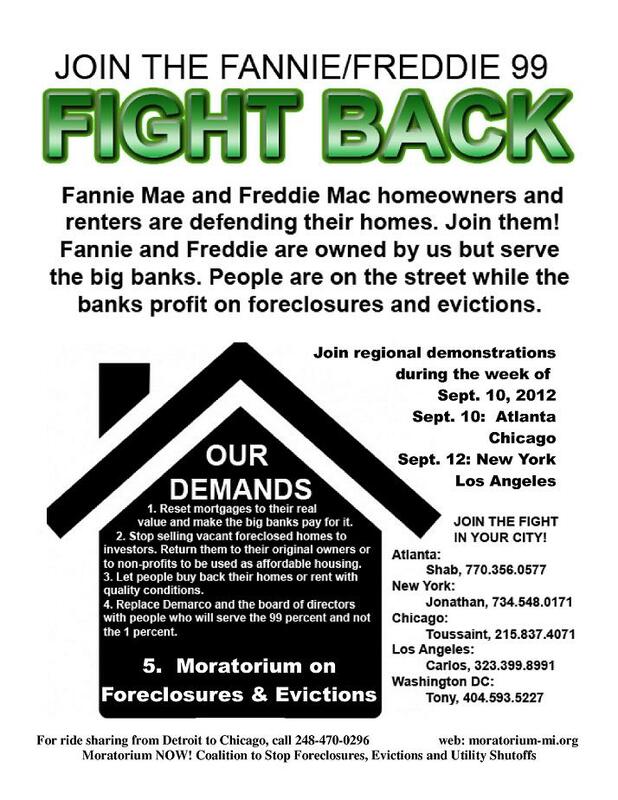 Join the Fannie Mae/Freddie Mac Fight Back! Car caravan leaving from Detroit – Call 248-470-0296 to if you have a ride to offer or need a ride. Fannie Mae and Freddie Mac homeowners are defending their homes. Fannie and Freddie are owned by us but serve the big banks. People are tossed onto the streets while the banks profit on foreclosures and evictions. During the week of Sept. 10, demonstrations will take place in Atlanta, Chicago, Los Angeles, and New York.